• Check if you are registered to vote at: https://voterlookup.elections.ny.gov/. • If you are not registered to vote, print out and complete a voter registration form. The deadline to register to vote in the November 6, 2018 general election is October 12, 2018. You can submit a voter registration form in-person at your local Board of Elections or put it in the mail no later than October 12, 2018. 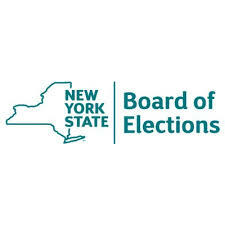 If you have any additional questions, please contact John Conklin or Cheryl Couser in the Public Information Office at the New York State Board of Elections, 518-474-1953, INFO@elections.ny.gov.